With years of industrial experience, our organization is highly involved in offering superior-quality Race Boats. Our offered products are extensively used for saving life at sea. These are fabricated using high grade raw material and advanced technology, under the supervision of highly qualified and skilled professionals. 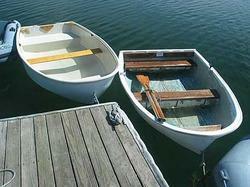 We are leading manufacturer of Best design and Quality Boats with Long term durability . The "discovery" is a single seater kayak and has been designed with speed and stability in mind. The simba "discovery" has been provided with an over stern rudder system to allow it to be used for touring and general recreational use. The "discovery" is built to international canoe federation (icf) regulations. You can choose either a windy ride across the backwaters in a speed boat or a leisurely cruise on the backwaters in a house-boat, or both. In any case you are offered an experience of Kerala's rural backwater life. On each one of the mornings that you spend with us, our staff can graciously help you plan an ideal outing for the day. Speed boats are used for various purposes like racing, sports, also for carrying materials, etc. We offer well-maintained Speed Racing Boat. 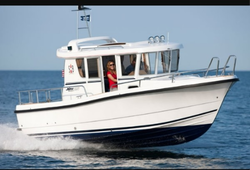 We are regarded as one of the promising High Speed Boat Suppliers from Bhavnagar. Also, we have earned ourselves a respected position among the Speed Boat Exporters in India. Custom made kayaks and boats for the sew and river sports, single and twin sweaters, racing and leisure. You name it and the process can make it.